The introduction of the Braun Series 7 shaver sets a whole new standard when it comes to shaving. This Braun 790cc shaver features highly innovative technology, that allows you to do shaving with ultimate relief. Another feature of this particular Braun 790cc shaver that we would like to bring to your attention is that it has a triple cutting system that allows you to shave both long and short hair. Plus, it requires very minimal charging time (only 5 minutes per charge) and you can use it for up to 50 minutes with every single full charge. The Braun electric shavers are extremely comfortable to use, and this one is no different. There are faster motor driven shavers such as Panasonic shavers that are known to provide close shaves in less time but none of these compare to the Braun 7 series when it comes to comfort. For people with sensitive skin, this is one shaver you can depend on. This particular Braun Series 7 790cc shaver comes with a number of benefits like Braun 799cc Shaver, and in this section, we have highlighted some of the most important facts. This Braun shaver uses Pulsonic technology, where it creates over 10,000 micro-vibrations per minute to help stimulate the skin (from the shaver head), causing your skin to ripple and expose more hair. With that, you can now cut more hair with every single stroke. One key benefit about this Braun 790cc shaver is that it has a sensitive flexing head that follows the contour of your face and allows you to effectively reach out to those “hard to reach” areas, giving you the most ideal, clean shave that you have always wanted. There exists a simple Clean & Renew system that allows you to automatically lubricate, clean, dry and charge the kit at a touch of a button. This will help maintain the best electric shavers and keep it in tip-top condition, ready for you to use whenever you want. With a fully charged Li-ion battery, you can get up to 50 minutes of shaving time. It takes approximately one hour to achieve a full charge but there is an option of a 5 minutes quick charge that should provide enough juice for one complete shaving one session or one close shave. Charging automatically starts when the shaver is placed in the Clean & Renew System. Includes an option of using the supplied cord that plugs right into the shaver. It is most handy when traveling as you do not have to bring the charging station along. The auto voltage adjustment (100-240V) indicates that you can use it anywhere and anytime, and to have a Li-Ion battery, you won’t have to worry about fully discharging or overcharging it. Over 85% of the users, after they have bought and used the Braun Series 7 790cc shaver, have reported back that they were happy with their purchase. 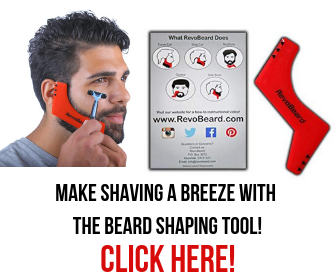 Out of all the positive feedback that was received, one very notable plus point about this product that was reported by the customers was the fact that, with this particular shaver, they experienced no more razor burns (which has been their main concern with the other shavers they have used before). Also, in terms of shaving, they said that, as compared to other shavers, this particular Braun Series 7 790cc shaver allows them to get a really comfortable shave. Other plus points as reported include that the shaver was very comfortable to hold and grip on to, even if their hands were wet. Also, they manage to shave very fast using this shaver, and it is also easy on their neck. However, on the negative aspects of this particular product, some of the customers have raised their concerns about the rather loud noise produced by the shaver. They have also pointed out that even though this product comes along with a traveling case, it is only enough for the shaver and not with the charging cord (which some of the users find pretty bulky as well). If you are looking for a top electric razor of 2018 just for dry shaving, this particular Braun Series 7 790cc shaver does a really good job and is pretty easy to use. It is very comfortable to hold and has an excellent grip so that you can get a comfortable and close shave by using this shaver. 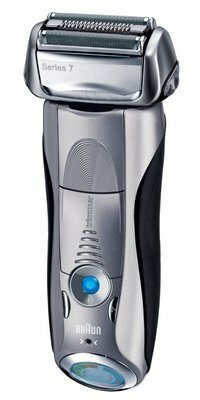 Most importantly, as noted by many users, there are no razor burns when using this shaver; which is something that many men will love. After taking a look at this shaver for ourselves, as well as feedback from the various users (positive as well as negative), overall, we feel that this Braun Series 7 790cc shaver is definitely one we highly recommend!